Commercial insurance and the transfer of risk is just part of the control process and we believe that risk management is by far the most important way an organisation can protect itself from the consequences of risk exposure. BBi has amassed a wealth of experience placing cover for risks ranging from single properties to portfolios with an asset value exceeding £100bn. Our expertise is recognized by our insurer partners and allows us to provide covers that aim to enhance the widest All Risks terms usually available. Cyber risk is real and happening at all levels. Fraudsters are mainly targeting SME's companies not just PLC's, yet PLC's get more publicity as their losses are usually higher and they have to report losses to the stock market. It is highly unlikely that your business has not been targeted in some way or another. The exposure businesses have will only increase as more legislation is brought into force in 2018. Understanding risk can be the essence of survival. Risks can either be ignored, eliminated, managed or transferred (insurance). The BBi Group get involved in all aspects of risk control to make sure their clients are aware of the importance of understanding the risks they face and the implications of ignoring these risks. If it is possible to eliminate risk we can also assist. Commercial insurance and the transfer of risk is just part of the control process. We believe that risk management is by far the most important way an organisation can protect itself from the consequences of risk exposure. If insurance leads to complacency this can in fact, increase commercial risk considerably. We aim to act as our client's insurance department for companies where it is uneconomical to employ their own commercial insurance and risk control professionals. We also assist in house insurance departments that require our specialist services. 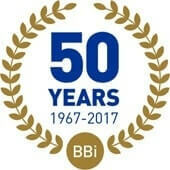 The BBi Group support professional qualifications and insist that their staff are properly qualified to carry out the tasks required of them at the highest level. We do not restrict our services to mere insurance placing and are able to match and exceed the facilities offered by some of the largest of broker organisations. We would welcome the opportunity to audit your commercial insurance arrangements and indeed review your health and safety, disaster recovery, human resources and training needs independently of reviewing your insurances.